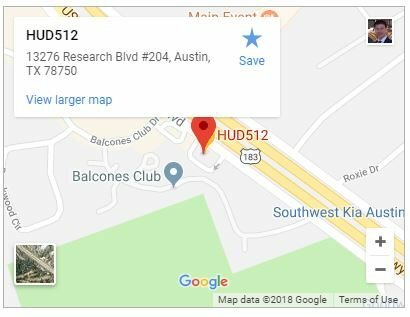 HUD512 buys houses for cash all across the Austin area including Hutto, Round Rock, Pflugerville, Leander, Cedar Park, Manor, Bastrop, Dripping Springs, Buda, Kyle, Georgetown, Elgin, Liberty Hill, Lago Vista, Marble Falls, and many other areas in Central Texas. If you are thinking you need an easier way to sell your house, and avoid the hassle of listing, we can help. We work with homeowners in various situations such as divorce, foreclosure, relocation, job loss, a home that needs repairs, fire damaged homes, homes with bad tenants, or any other reason you might want to sell your house fast. Most importantly, we buy these houses for cash. Our home buying process is designed to enable you to sell your house in days instead of months. If you are thinking you need an easier way to sell your house, and want to avoid the hassle of listing, we can help. If you want to sell your home, HUD512 Austin House Buyers would like to buy it! Let’s face it, the traditional home selling process is awful. That’s why our mission is to make selling your home fair and simple. 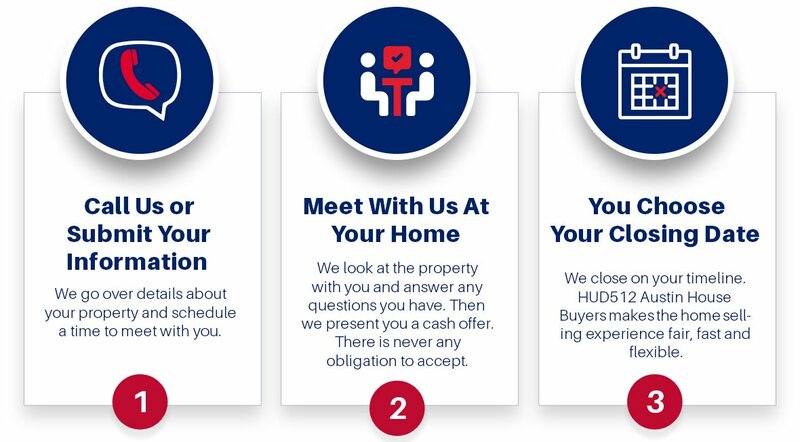 Our 3-step process allows you to sell your home on your timeline, while still receiving a fair offer. Also, when you sell to HUD512 Austin House Buyers, there are no realtor fees or commissions.